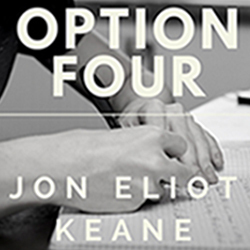 Jon Eliot Keane studies people for a living. Sometimes, he writes about them too. He and his husband are owned by an obstreperous tortoiseshell cat, collect books and odd knickknacks, and make their home in Southern California near Los Angeles. Option Four is his first fiction publication.